What is it? : A stand alone video conferencing service which is downloaded onto your computer or device. Waiting for people to come online! + Although I don't use it regularly, FaceTime is also great. Unfortunately, I am one of the few mac people in my family so it isn't really an option for us, but it's great for those that do! What is it? 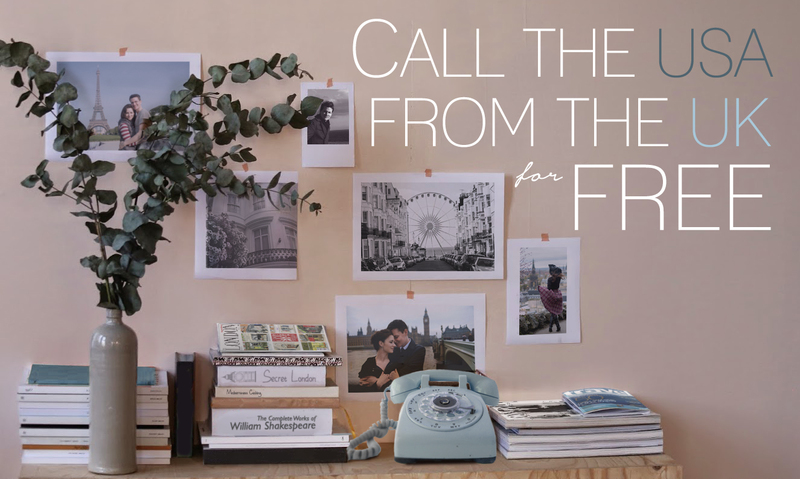 : A free calling service which allows you to make "local" free calls to the USA. To use it, you simple have to dial: 0333 232 3232 + country code (001) + family's phone number. Then, voila! You're talking to your family! No internet required, so I can call my family to matter where I am, as long as I have my phone with me. As a general rule, I use Skype when I am sitting at my computer because I like video chatting with my mama. Being able to see her makes us feel not so far away. We also Skype with Jon's family on Sundays, which I love. What I really like about ZipCall is that if there was an emergency or if I'm out and about and I really just have to call my mom and tell her something amazing, I have that option. All this makes the world seem smaller. Most the time I don't feel any farther away than I did when we lived stateside (and honestly, most the time I feel closer!). To keep updated with all our news, be sure to follow us on Bloglovin' to get our posts in your email inbox!